It is a shame that so few people are going to experience the Leica M (240). This is one great camera. I plan on doing a multi-part review on various aspects of this wonderful camera. All the articles will eventually be combined into one post so that it will be a long read. The M(240) was released in September 2012 to a lot of excitement. It was in short supply until the latter half of 2013. 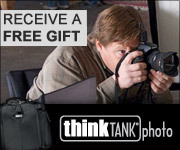 When I purchased mine from the Leica store in West Hollywood I had to wait two weeks because I wanted a black model. When shooting film I owned both a black and a chrome M6, I was aware of less people noticing me with the black model. The black model was always loaded with black and white and the chrome of course carried chrome ( Kodachrome 64 ). Since both were always with me I was able to judge peoples reactions to both cameras. Even before everyone became a photographer with the advent of digital, Leicas were less noticeable and not taken as serious as people with larger SLRs. The M(240) has features that stand out to me that make it a worthy step up from the M9. The sound of the shutter is a feature that is often downplayed. I don't mean that I like it because it sounds cooler, it is because of the quieter and softer sound. Most of my shooting is in close, in quiet environments, and the earlier digital shutters were just too loud. Many a time I was being discreet and people would look up at the click and whir of the shutter winding. The new shutter is just so much softer. The LED frame lines auto sensing to the light value from the scene is one of those small things that I have wanted for so many years. Having already changed the color of the frame lines so that they were easier to see, I am so thankful for the feature. Battery life is much improved. I can't get the number of shots that I can from my Nikon D3s but considering how much smaller the battery is I am fine with the duration. Since I own a Noctilux the focus peaking feature is a welcome addition. Being raised as an old school type of photographer I am not comfortable shooting with a camera at arms length, but focus peaking does increase the number of keepers with the Noctilux. The 3" LCD is nice and I just don't see it getting much larger on a rangefinder camera. The new style menus are easier to look at and to navigate. The power switch seems to have a more positive feel. This is one feature that so many companies that produce smaller body cameras have trouble with. The switch on the Fuji X-Pro 1 is terrible. Still getting used to the setting dial that provides a thumb wheel on the back of the camera. The collar around the wheel provides an area for gripping the camera. I like the functions they provide, it's just after almost 30 years of Leica use the muscle memory is expecting a different feel under my thumb. People newer to the Leica experience will probably appreciate the feel more that I do. Weather sealed is always a good thing. Oh, the tripod mount is now part of the body not the baseplate. So far I only have a few nit picks. The body is slightly larger and heavier than previous models. What can I say, I want a digital M6. For me the silver pad on the back is just a little too close to the LCD screen. I would still like a mechanism that cleans the sensor like the high end DSLR's. It's not a negative but I don't care about video capabilities. I have other cameras for that ability. Being able to add an electronic viewfinder will make many happy, I just wish it was a smaller accessory. With the first time that your hands are wrapped around the Leica M (240) you will feel right at home if you have used a Leica M series before. It is a little heavier, a little thicker, but the familiar experience of a rangefinder is still there. If you are new to the Leica M series most often the first impression is how heavy the camera feels. I don’t mean heavy as in a pro DSLR heavy I mean heavier than it appears before you first pick up the body. The specifications show that the M (240) weighs 680g. To put that into perspective the recent Leica M9 weighs 585g. The M (240) is also just a bit thicker at 1.7” as compared to the M9 at 1.5”. When comparing the two cameras side by side the difference is quite noticeable but in practice it is really not an issue. If you use the camera often enough your hands don’t notice the thickness. The most distinctive feature of a M series camera of course is the rangefinder. When the M3 was introduced in 1954 the one piece body with built-in rangefinder was the marquee feature. The original Leica didn’t have a rangefinder or even an optical viewfinder. The following models first incorporated an optical viewfinder and then later a rangefinder. The first rangefinders were a separate window so when a photo was taken first you composed through one viewfinder than focused using an adjacent window. Only with the introduction of the last screwmount camera, the IIIG, and the introduction of the bayonet mount M3 did users get an integrated viewfinder and rangefinder. The rangefinder of the M (240) is the same design as the original. Over the years the viewfinder magnification and rangefinder base have changed but we are basically using a 60 year old focusing system that can create some of the sharpest images in photography. Using a rangefinder uses a different mindset and approach to photography. It’s not just the absence of autofocus. Looking through a viewfinder that doesn’t change magnification and only shows focus in a small patch in the center of the viewfinder takes some getting used to. But when adapted to this new way of seeing many feel it is a superior way to compose because the focus is more on the subject than on the camera. 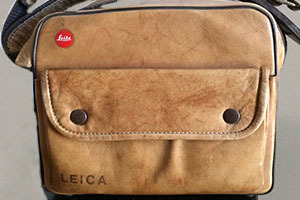 Some never adjust to the difference and label the Leica experience a failure. Some proponents of the Leica also feel that the spartan feature set is a boost to creativity. To each his or her own. Limits can be a hindrance or a focusing influence. This is what the Leica experience is all about. It is the combination of quality workmanship and the intangibles that come together to make the experience that some have come to enjoy and even worship. The look brings some to the system. The small form factor is defiantly advantageous for street and travel photography. The lenses are what convert many to the M. MTF charts do not tell the whole story of how an image is appreciated. Leica images just have a certain look. I remember back in the day of film placing Leica slides and Nikon slides on a light table together and I could distinguish the Leica images by their unique characteristics. The most noticeable feature of the exterior of the camera is the lack of features. Starting on the top on the far right is a small button labeled “M” that is used to activate the video mode. For the average Leica M shooter this will be the least used function on the camera. Market surveys show that most M users are B&W enthusiast so video would be low on their list of priorities. The shutter release has a rotating collar for setting the camera to single exposure, continuous exposure, self timer, or the off position. There is no lock button so the switch slides easily which can be a problem because many times I have placed the camera in the bag only to retrieve it to find the camera on. An addition of a on-off lock would be helpful. Moving across the top to the left is a conventional shutter speed dial. Some call it retro, I call it functional. Nice to know the shutter speed when picking the camera up, this helps speed up the shooting sequence. Next is a standard hot shoe that also has connections to pass information to the optional Electric Viewfinder. On the front of the camera are three windows going across the top. The smaller window is the rangefinder window and the larger one is the viewfinder window. The smaller round opening is the brightness sensor. Previous models of the M had three windows for the rangefinder. There was a middle window for illuminating the frame lines that indicated the field of view of the selected lens. This window has been eliminated on the M (240) because the frame lines are LEDs. This is a nice touch because the frame line color can now be changed with a menu selection. Slightly below the M on the front of the camera is a focus peaking button that enlarges the image when using Live View. The lens release is located in its usual position on the body lens mount. The bottom plate is completely removed to change the memory card and the battery. This is a hold over from the days of film and has been criticized in the days of digital as unnecessary and cumbersome. This may be true but it insures that the camera is rugged. A hole has been drilled into the middle of the baseplate to accommodate the tripod socket. . For many years the tripod socket was on the end of the baseplate to accommodate the film chamber. The tripod socket now goes directly into the camera not as an attachment to the baseplate. There is a connection port for transferring information to accessories such as the multi-function handgrip. The back is dominated by a 3”, 920,000 pixel display and is Gorilla Glass like your iPhone. Some of the previous models have been criticized because of a low quality LCD. The sharpness and color are a vast improvement and the addition of Live View brings the M to the caliber that is expected in a professional camera. The menu system is copied from the “S” series of Leica cameras and easy to read and navigate. The LV button enters and exits the live view mode. Next down is the Play button for reviewing your images. Underneath that is the Delete button. ISO is where the sensitivity is adjusted. Menu is where the various settings to customize the carers are found. Set is what is pressed to select a parameter in the menus. The Directional pad is on the opposite side with a Info button located in the center of the pad. The Setting Dial protrudes on the back of the camera where the thumb naturally rests and is an alternate way to adjust menu settings. It also increases the ability to create a secure hold on the camera. Similar to the after market products that have been so popular for years. With the switch to a CMOS sensor The Leica M has added video recording. But I will wager that Live Peaking is the video feature most Leica users will investigate. Most of us are smartphone shooters so focus peaking will be familiar. Just press the LV button on the back and The LCD can be used for focus and exposure. Press the focus peaking button on the front and the image is zoomed for focusing accuracy. A menu selection is available to activate focus peaking by focusing the lens. Just turn to focus and the image zooms for assistance. Turning the thumb wheel changes the focus value up to 10X magnification. Very useful when using a Noctilux and just touch the shutter button to exit this mode. The whole process is very smooth and shooting has very little delay in live view. Since there is no mirror the switch to viewing and shooting is achieved quickly. Leica M Live View. Notice Red outlines that indicate focus. 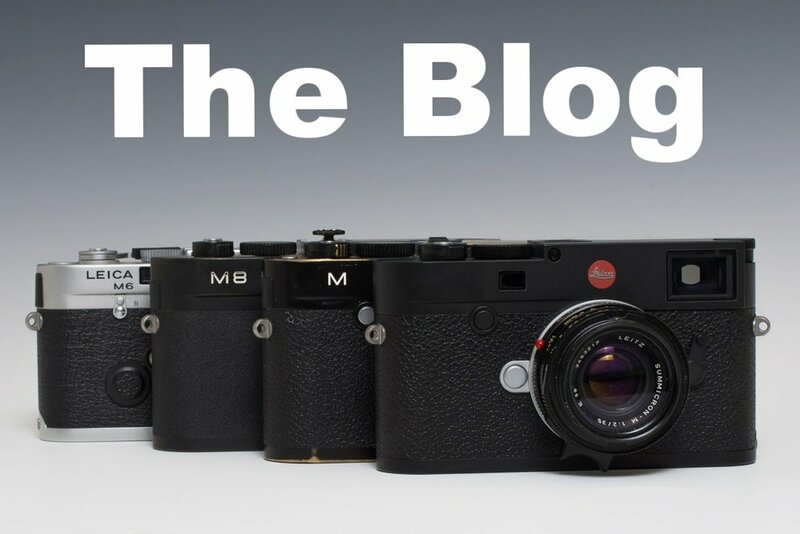 Shooting with a Leica M is the same but different. You either love the rangefinder patch for focusing or you dislike the whole endeavor. The ISO range is from 200-6400. No super high ISO. Raw files are pretty acceptable up to 1600. Pushing the ISO higher gives progressively grainer images. All things being relative, they are cleaner than high ISO film scans, but grainy they are. Metering modes are more versatile than Leica of days gone bye. Now center weighted is not the only option. Spot metering as well as multi field are available. The addition of exposure bracketing can give some added reassurance in extreme lighting situations. The M6 came in viewfinder magnifications of .52, .72 (the standard), and .85. The original M3 had a magnification of 100. That is why the wide angle lenses had goggles or used an auxiliary viewfinder. The M (240) has a magnification of .68 which would slightly favor wide angle shooters. A trick that is very useful when shooting with Leicas is to keep both eyes open when shooting. Looking through the viewfinder you see what is outside the frame because of the static frame lines and having both eyes open makes anticipating the action a little bit easier. With A DSLR the viewfinder is in the middle which makes it difficult to see the subject with both eyes open. The shutter speeds may be set at half speeds by lining up the shutter speeds between the numbers. This is not an obvious setting but is correct. Try changing the bright line field of view indicators to white if red is difficult to see. The LED make this possible and is a great addition to this model. Leica worked very hard to keep the Leica “Look” when changing from a CCD sensor to a CMOS sensor. I like the look of the RAWS from the M (240) as well as from the M9. Most images are just a starting point to the final output be it a print or web delivery so the difference can be adjusted for each camera. Some feel that a Leica Digital has to look like a Leica film image. For sake of argument which film image. Kodachrome, Ektachrome, Fujichrome, Agfachrome,, you get the idea. What should be there is the 3D look and color contrast that the lenses should produce. And on this account the M (240) delivers. At high ISO the Leica is slightly behind the Nikons and Canons. Good, better than previous generations, but ever so slightly behind. That is not to say that the camera cannot produce some stunning low light images. One reason this is possible is the quality of the lenses when shot wide open. Leica engineers some of the finest lenses ever made. Leicas also can excel at low light because of the rangefinder. When a DSLR is calling for some light for focus assist, a Leica will keep shooting. Just takes practice. But isn’t that what photography is all about. In my opinion the Leica M (240) is the best camera Leica has ever made. The sensor is rated high on the DXO benchmark. Many of the complaints of the M9 have been addressed such as battery life and the sound of the shutter. The addition of Live View and the EVF brings a classic rangefinder some much needed advances to make the camera more versatile. Owners of “R” series lenses can now use them with the M series with the addition of the R-mount adapter. Like I have said before it is such a shame that most people will miss out on using a Leica M because of cost or a bias against the Leica brand, because this is a fantastic camera that produces stunning images.